STELLAR CIRCUITS have revealed another stunning new music video, this time for the track "Skylights". Watch the music video -- directed/edited by Erez Bader (VEIL OF MAYA, THE CONTORTIONIST) with cinematography from Justin Reich (BLACK LABEL SOCIETY, THE BROWNING) -- now on KNAC.COM HERE. Vocalist Ben Beddick says about the track: "The meaning behind "Skylights" stems from its name. It comes from the idea of using the word as a double entendre. In one sense, it's used to describe lights in the sky shining down and guiding us towards our destination. It's also intended to be used as a metaphor to represent a window to the sky or to the soul." Bassist Jesse Olsen says about the video: "Justin (videographer) came up with the setup of the shoot. It was actually filmed outside in the middle of a circle of cars with the headlights on. Erez later added effects that made it more of an abstract video... it seemed to work visually and symbolically with "Skylights"." 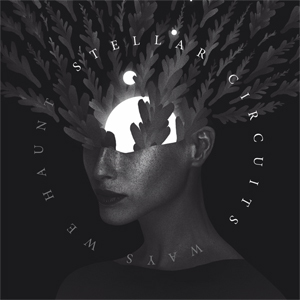 STELLAR CIRCUITS recently announced their upcoming album release tour, kicking off with their album release show on November 2 at The RamKat in Winston-Salem, NC. The tour will visit several other southeastern U.S. cities, coming to an end in Greenville, SC on November 17. See below for all currently confirmed tour dates.